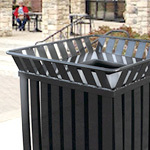 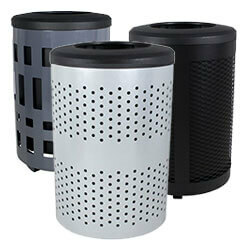 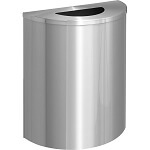 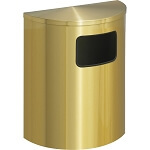 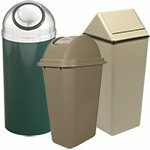 Glaro 24" wide half round recycling containers have a 29 gallon capacity and are perfect for busy pedestrian areas. 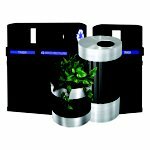 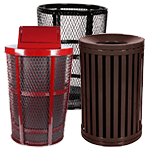 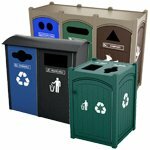 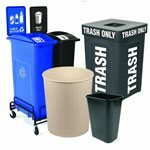 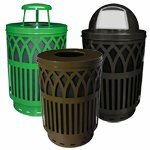 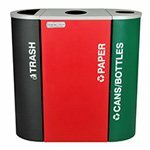 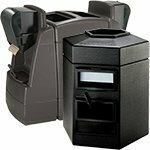 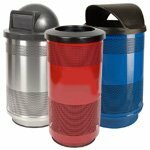 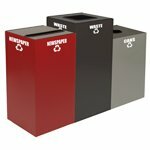 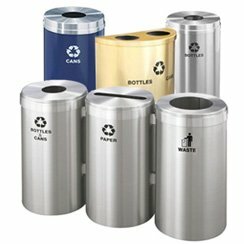 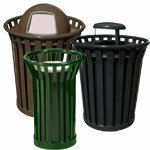 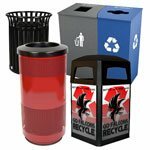 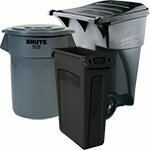 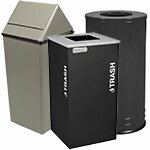 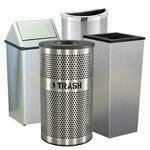 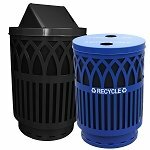 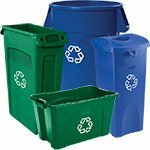 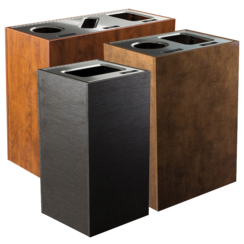 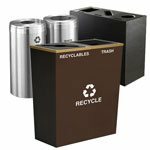 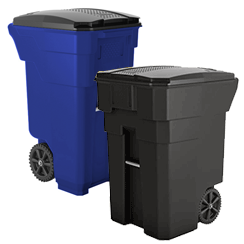 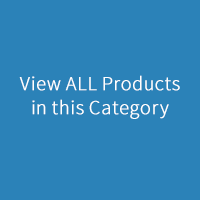 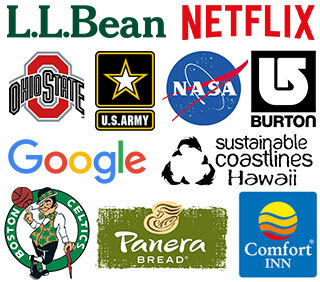 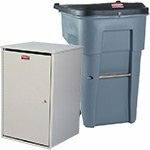 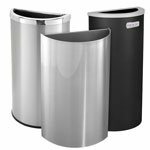 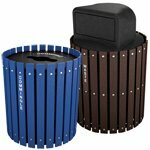 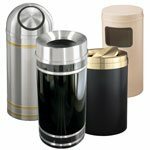 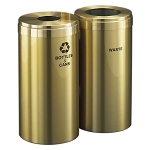 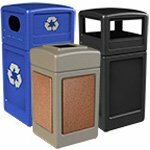 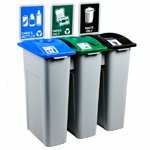 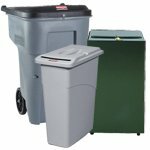 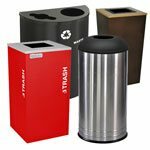 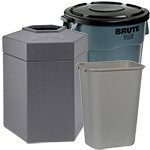 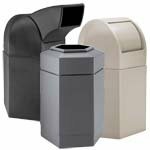 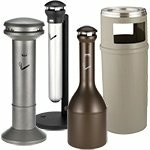 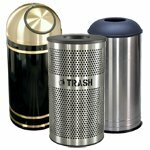 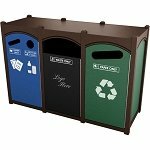 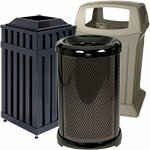 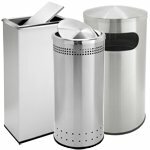 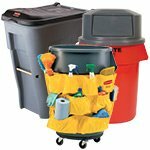 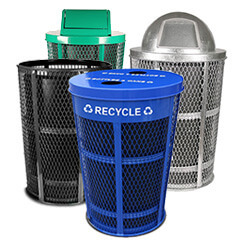 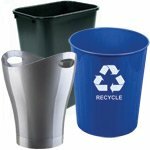 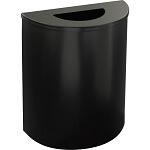 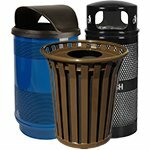 These finely crafted space-saving garbage and recycling cans are recommended for use in spaces that require additional trash capacity. 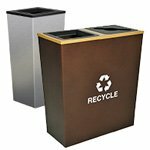 Manufactured with aluminum and steel, these fire-safe receptacles feature aluminum bottoms and concealed full width rustproof aluminum piano hinged covers. 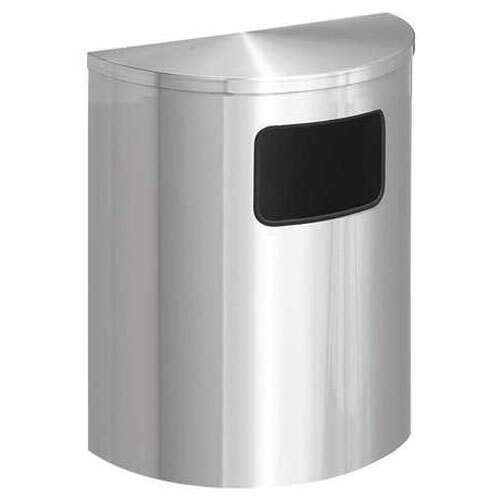 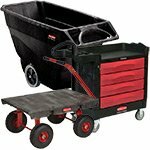 Inner liner cans with lift out handles are constructed of galvanized steel. 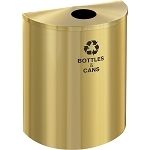 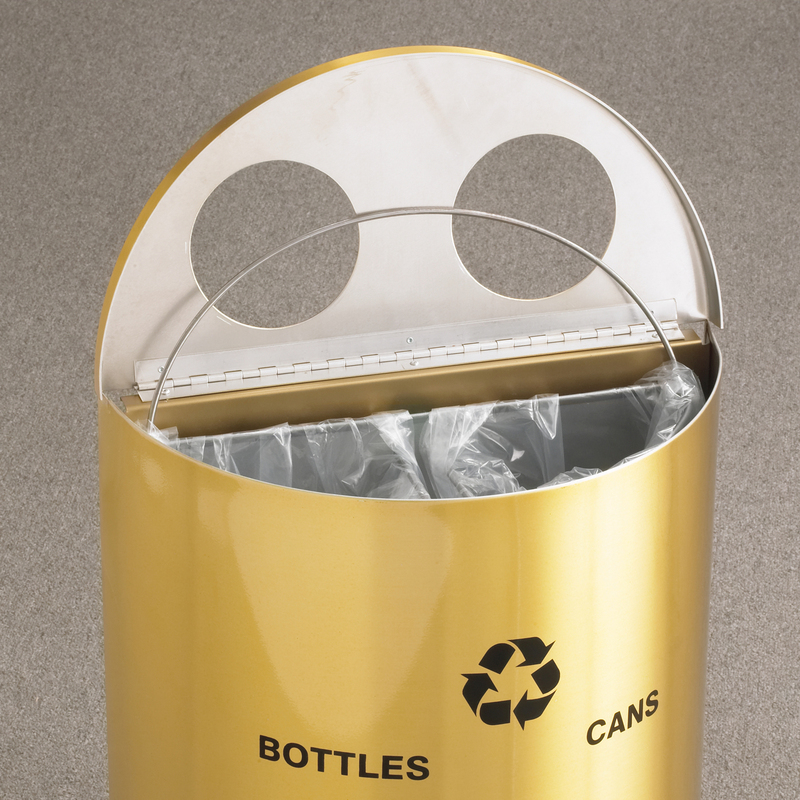 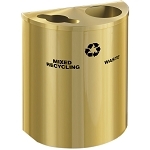 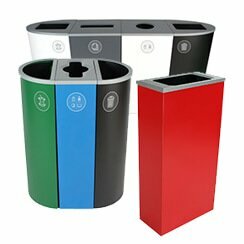 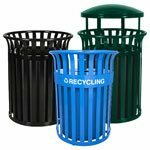 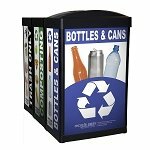 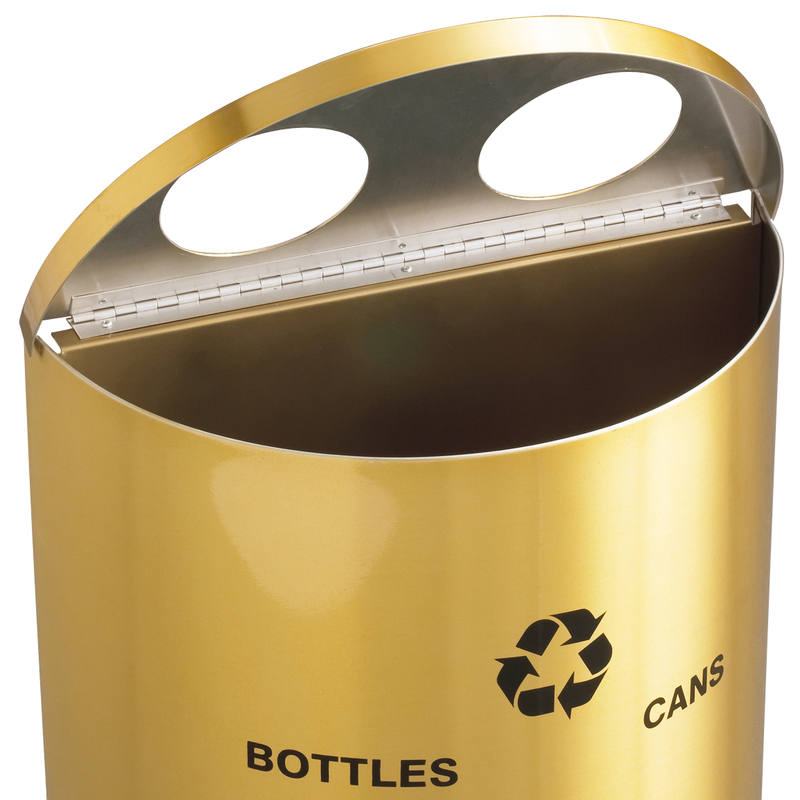 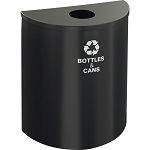 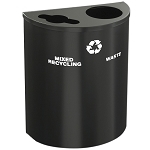 This half round recycling container is designed and finished to coordinate with all Glaro product lines to create consistency throughout facilities.